Despite the widely held belief that every movie monster is either played by Doug Jones in makeup or Andy Serkis in a ping-pong-ball-covered bodysuit, there are actually a number of actors that have graced the silver screen in elaborate costumes and achieved a sort of anonymous fame thanks to their iconic roles. One such actor is Haruo Nakajima, the man who first wreaked havoc on a miniature Tokyo dressed as the monstrous, ocean-dwelling lizard Godzilla. 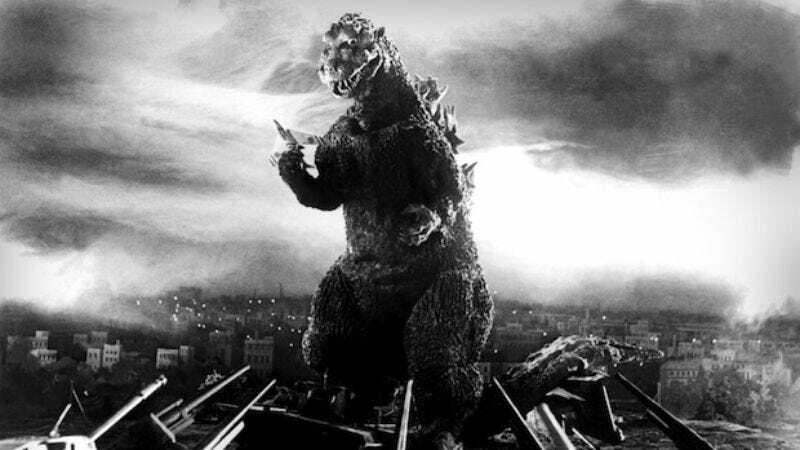 The rest, as they say, is history, as 1954’s Godzilla was a huge hit and Nakajima in his monster costume made of ready-mixed concrete (rubber and plastics were hard to come by in post-war Japan) went on to star in 12 consecutive films. Luckily, he was able to bow out gracefully from the franchise in 1972, long before running the risk of co-starring with Matthew Broderick. “When the film was a success, I was so surprised. I was so happy,” said Nakajima, who, despite never showing his face in the film, has firmly cemented his place in the history of cinema.